Printing and dyeing wastewater is one of the industrial wastewater which is difficult to treat. The wastewater contains dyes, slurries, auxiliaries, oils, acids and bases, impurities in fibers, sands, inorganic salts and so on. Today we will take a look at a case study of printing and dyeing wastewater. A textile printing and dyeing factory in Shandong Province mainly produces cotton knitting products. The wastewater mainly comes from the production processes of bleaching (including desizing, boiling, etc. ), dyeing, soaping, and a small amount of domestic sewage. 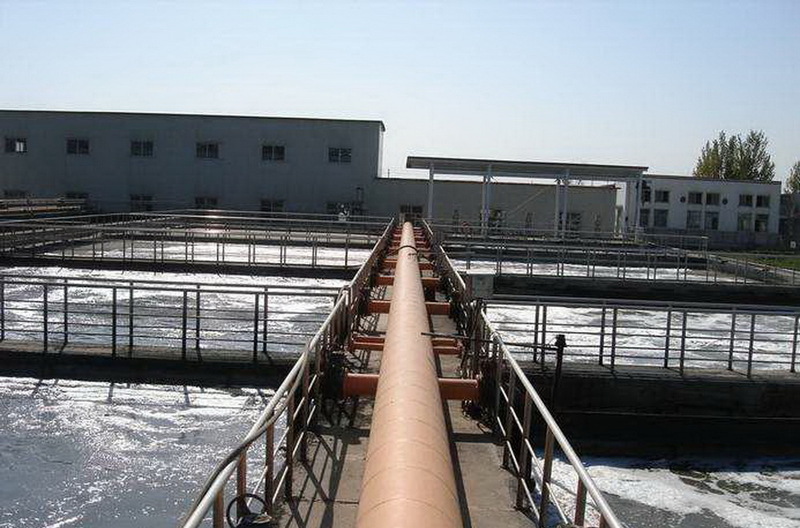 The plant discharges 400 m3/day of wastewater, including 140-160 m3/day of bleaching wastewater and 150-170 m3/day of printing and dyeing wastewater. 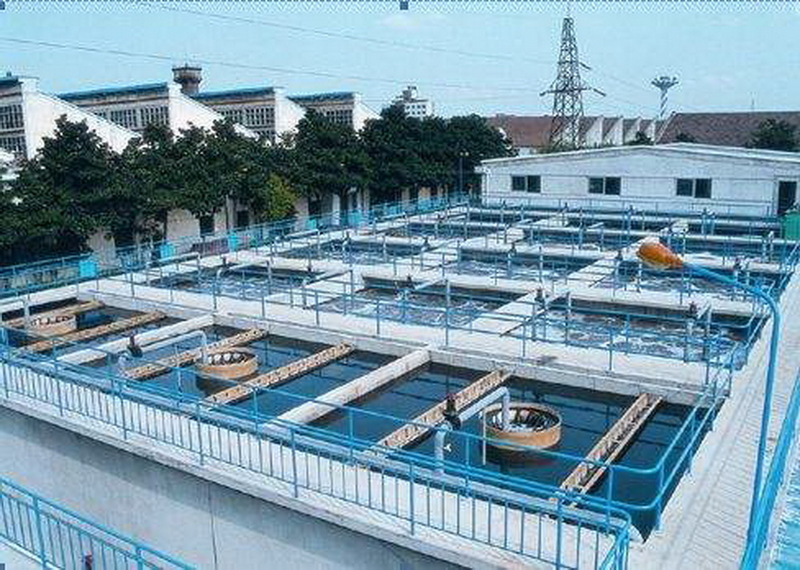 The comprehensive wastewater quality is COD=700-900 mg/L, BOD=180-230 mg/L, pH>9, SS=150-200 mg/L, and chroma>400 times. (1) Hydrolysis and regulation pond: the size of the pond is 8m *4.5m *4m, the total volume is 144m3, the average hydraulic retention time is 8h, which has the dual functions of hydrolysis and regulation. The middle and lower parts of the pond are fixed volume, sludge is added, water distribution system is set up in the pond, the distribution outlet of the pond body is evenly arranged, the upper part is variable water level regulation volume, the suction outlet of the pump is located at the interface between the two, and the sewage flows out from the distribution outlet. Yes, and contact with the sludge through the sludge layer. Hydrolysis bacteria can decompose macromolecular organic matter into small molecular organic matter in sewage to improve the biodegradability of sewage. (2) Air flotation device: the size of the air flotation tank is 4m *2.3m *2.18m, and the treatment capacity is 20m3/h. The air flotation device uses the water pump suction pipe jet to dissolve the air, eliminates the air compressor and reduces the noise of the system. (3) Biological aerated filter: the size of the tank is 2.5m *2.5m *4.3m, with three grids, the height of the filter material layer is 2m, the height of the supporting layer is 0.6m, and the size of the filter material is 3-5M M. A large resistance water distribution system and a perforated pipe gas distribution system are set up in each tank. (4) Clean water tank: the size of the tank is 5 m x 2.0 m x 2.8 rn, which is used for backwashing of biological aerated filter. The COD removal rate of physicochemical treatment was 33%, COD removal rate of biological treatment was 48.4%, and chroma removal rate of hydrolysis tank was 81%. 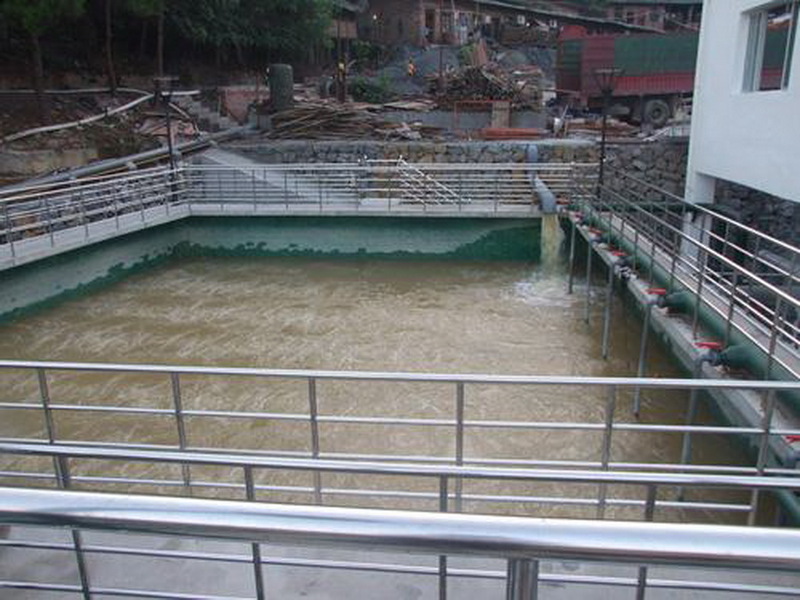 Under the conditions of raw water concentration of 837 mg/L, BOD concentration of 290 mg/L, SS concentration of 316 n0L and chroma of 562 times, the final COD of effluent was 153 mg/L, BOD was 19.4 mg/L, SS was 83 mg/L, and chroma was reduced to 36 times. In the whole treatment process, the structures play their respective roles. They have different removal rates for chroma, COD and BOD. 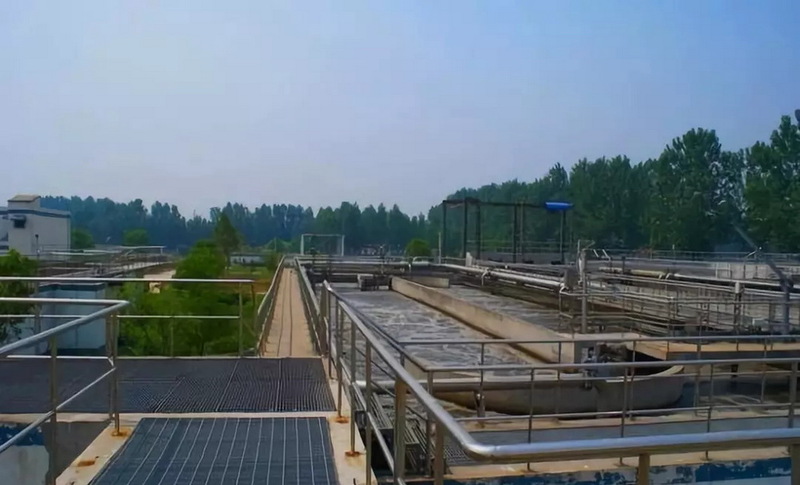 Among them, the hydrolysis tank has obvious removal of chroma, and the biological aerated filter has remarkable treatment effect on various indicators to ensure that the effluent quality reaches the standard.